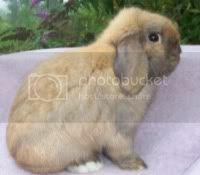 The Holland Lop is an endearing rabbit and very popular both as pets and show animals. 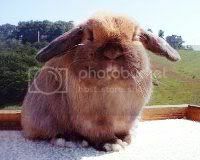 The smallest lop-eared breed, Holland Lops come in many colors. You can find some nice show quality and pet quality bunnies for sale from the following breeders. All listings were checked and believed to be current at least as of May 2013, and many have been added since. I strive to keep this directory current. Feel free to report any expired links. This directory is a courtesy service. I do not know all of these breeders and cannot personally endorse them. If you are rabbit breeder and would like to be listed on this page, simply fill out this submission form! New Rabbit Supply website just launched! We have your rabbit supply needs covered at PremiumRabbits.com! We’ve got the essentials in cages, carriers, drop trays, cage stands, nest boxes, feeding and watering equipment, as well as valuable accessories such as EZ-mats, harnesses, cage card holders, and much more. Visit PremiumRabbits.com to see our selection. Prescott, Arizona, about 90 miles north of Phoenix. We are a smaller rabbitry in Central AR that focuses on quality and color, as well as raising perfect family pets for people wanting to adopt a lasting pet. Visit our website for photos of our babies! We have all varieties, specializing in Blue eyed whites. Holland lops, specializing in Agouti. Breeding Holland Lops and Netherland Dwarfs since 1999. Located in Elizabeth, about 12 miles Southeast of Parker. Focusing on show quality rabbits. Lots of daily handling and love. I have a very small rabbitry and strive for ARBA standards. Colorado, located in Beautiful Castle Rock! and friendly when they leave for their new homes. Located in northern Colorado, about 45 min. north of Denver. varieties. Specifically working with chocolate and dilute coloring. temperament and color as well as quality. Located in Superior, Colorado, between Denver and Boulder. excellent type and sweet, calm temperaments. Holland Lop and Lionhead bunnies. Many different colors! the love and care he or she deserves. My rabbitry is generally small. We raise lionheads mainly specializing in blue eyed whites, Harlequins, magpie, and tort. We only do purebred pet quality. Holland Lops in a variety of colors. Carrie Campo of WA lines. Pets and breeding stock available. Holland Lops in tort, otter and shaded. Jersey Woolies in Agouti, tan, shaded & self. Northern Florida just miles away from Georgia, along I-75 near Jennings. All our babies are handled daily with love and care. Holland Lops in all varieties of tort, self, and otter. near Moscow ID, 2 hours south of Spokane WA. Netherland Dwarfs in REW, black, blue, chocolate, tort, and broken of all varieties mentioned above. Nestled in beautiful Central Illinois. 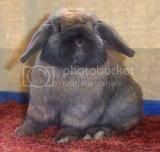 Raising Holland Lops, Netherland Dwarf, English Spot, Standard Rex New Zealand. We are on the Indiana/Ohio border on the Eastern side of the state. 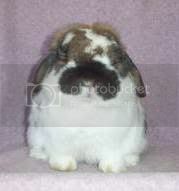 We specialize in lines of Mini Lop, Holland Lop and Mini Rex. We also have English Spot, Harlequin and Netherland Dwarf. My daughter has shown rabbits for 4-H for the past 8 years. We began breeding 3 years ago and are enjoying the time spent together in this project. We make it our priority to breed show quality and pet quality animals. Our rabbits thrive on being loved, cared for, and handled daily. Living in a happy and healthy enviorment. Holland Lop in broken and solids and Lionheads in pointed white, seal and sable point. Small in home rabbitry raising adorable, quality Lionhead and Holland lops in correct color groups, good bites, and temperaments. Written guarantee and care sheet. Raising Flemish Giants, Holland Lops in tri and harley, and Lionheads in lots of colors. Raising High Quality Holland Lops for show and pets. Holland lops, Mini Lops, English lops, and lions. 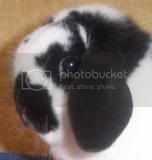 Hi I am Betty Johnson I sell pet bunnies and 4h buns in MN. delivery at $7.00 per bun (for gas money) 4 dift. customers. heart goes with every bunny I rehome. please head to www.bunniesetc.weebly.com I update daily. Purvis, Mississippi, just below Hattiesburg Ms. near Gulfport Ms.
Springfield, Missouri, near the southwestern corner. Holland lops, offering a variety of solid and broken variaties. and handleability for showing and for pets to be friendlier. Transportation available to and from shows I am attending in Montana. Breeding and showing top quality Holland Lops. Foundation bloodlines include L & R, Camelot, THF Saynora. Holland Lops, Netherland Dwarfs and Lionheads. We raise rare and beautiful blue eyed Holland Lops in southern NJ. All our bunnies are raised with lots of love and attention inside our home; they are friendly, litter trained and pedigreed. I raise Holland Lops and Netherland Dwarfs. to make great quality pets, not only for the show table. Western North Carolina, near Asheville. Catawba, in between Hickory and Statesville. Breed/show quality beautiful Holland Lops. in our small open rabbitry. Specializing in Top Quality Sable Points. Breed Tort and Black varieties, too. Stirving to produce internationally competitive Hollands. Standard Rex Rabbits in black, blue, castor, chinchilla, opal, and broken. perfect pet for you! God bless. Solid and broken black tortes and blue tortes. Our children raise and show a small herd both for 4-H and ARBA. Near Orem and Provo, Utah. Holland lops & Mini rex. We specialize in raising beautiful, rare, pedigreed Hollands! We have sable points, Siamese sables, chocolates, BEW, frosties, and so on! We hold our rabbits and post pictures of them daily so you can follow their progress until you bring them home! the finest lines and strive for typey animals in our barn. Members of ARBA, ANDRC, HLRSC. Pedigree Holland Lops for pets or show. Tortoiseshell, Blue, Blue Tortoise, and all Broken colors. 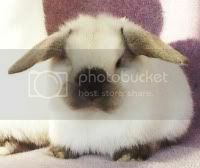 We are a small rabbitry and breed for great quality and personalities. Gorgeous Holland Lops in many varieties. outdoor pets, show or brood bunnies! Breeder of Quality Show Holland Lops, specializing in Tortoiseshell, Otters, and Shaded Holland Lops! Mini Rex (castors, blacks, browns, and whites) and Holland Lops (Black and Blues and broken blacks and blues. We are a small rabbitry that started as a 4-H project. We pride ourselves on social bunnies that are proven mothers and produce good show stock. We also sell pet stock occasionally. Ontario, about 45 minutes away from Toronto. Ashley and Caitlyn began this Rabbitry when they were 9 and 7 years old.